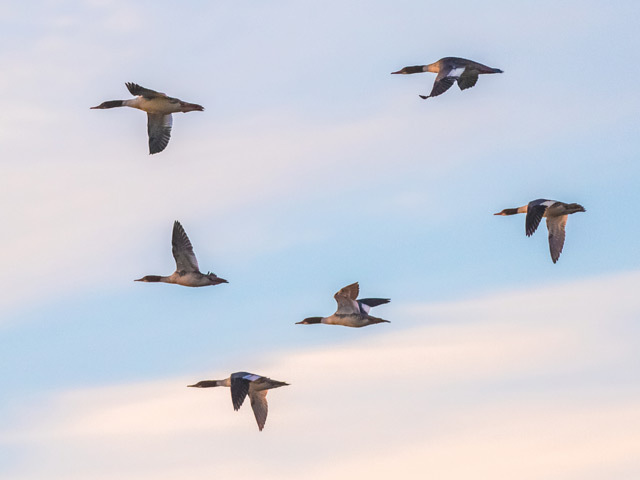 With heavy showers appreciably more frequent than anticipated the welcome reduction in wind strength didn't herald the arrival of as many late migrants as it might. Visible passage over the Bill included 145 Wood Pigeons, 75 Chaffinches and 3 Bramblings, but arrivals on the ground there didn't get any better than 4 Redwings, a Chiffchaff and a Reed Bunting; the Siberian Lesser Whitethroat also surfaced for the first time in several days and singles of Purple Sandpiper and Short-eared Owl were about. Seawatching there came up with 6 Common Scoter, 2 Red-throated Divers and singles of Red-breasted Merganser and Great Skua. 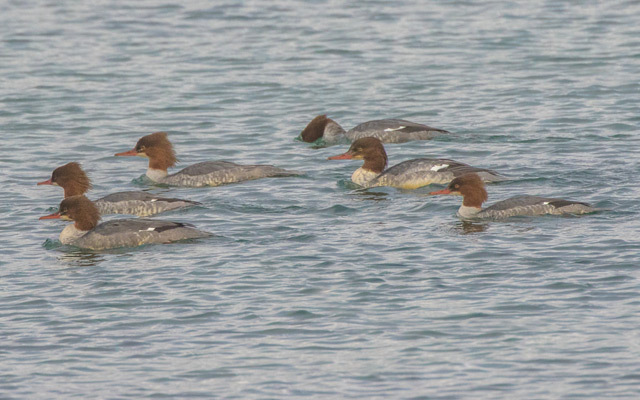 The 12 Goosanders were again about at Ferrybridge/Portland Harbour, with 6 Black-necked Grebes and a Great Northern Diver also in residence at the latter. Although it did brighten up as the day went on, wind and rain had featured throughout the morning and limited enthusiasm for anything other than perfunctory coverage. A few small parties of Chaffinches and Goldfinches heading away to the south between the showers and grounded singles of Yellow-legged Gull and Redwing constituted the only evidence of new arrivals at the Bill where the sea was busy with established winterers but devoid of storm-driven newcomers. 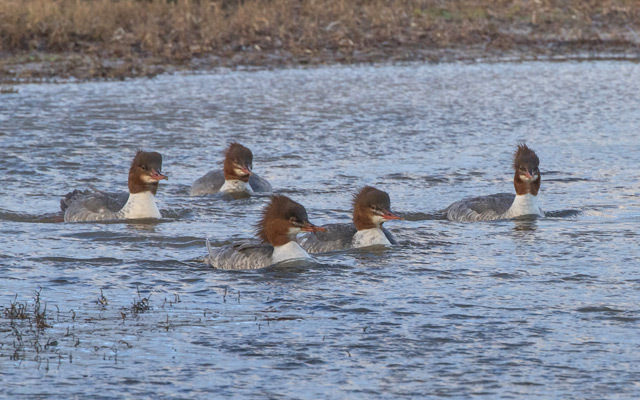 The only other news was of the 12 Goosanders through again at Ferrybridge. 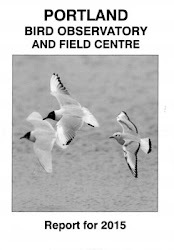 A reminder that there's an In Focus field event at the Obs between 10am and 4pm this Sunday, 20th November. Wind and rain restricted opportunities for meaningful fieldwork today but there a few odds and ends about to keep interest going. The sea got plenty of attention although rewards were pretty meagre with just 8 Common Scoter and a Pomarine Skua through off the Bill and a Great Skua through at Chesil Cove. 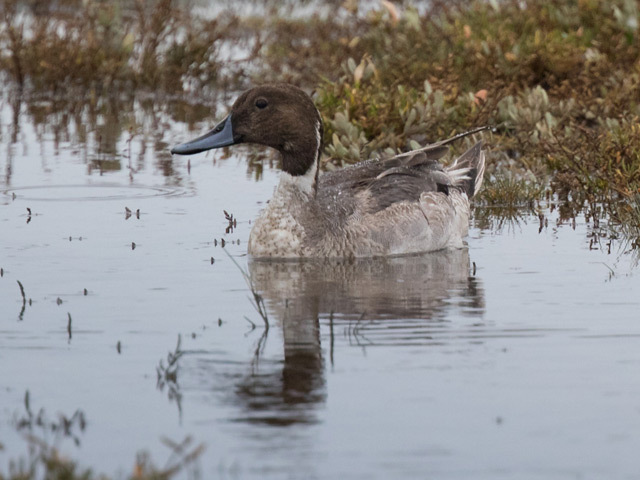 Ferrybridge was still extremely busy with Brent Geese and Mediterranean Gulls but 12 Goosanders that pitched in for a while and 8 Pintail that flew through were the only oddities on offer. 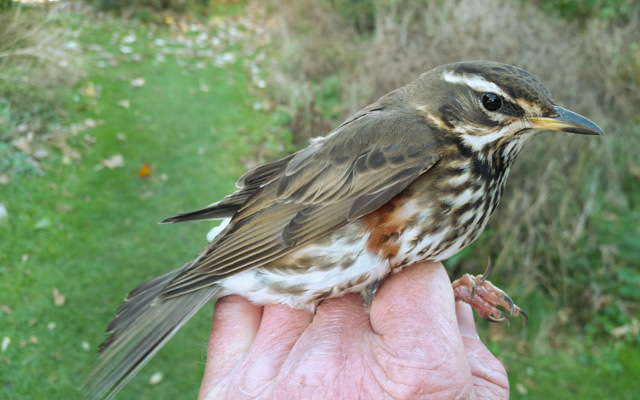 The only reports from the land were of 10 Redwings, 7 Fieldfares and 2 Black Redstarts at Portland Castle and a Chiffchaff at Southwell. 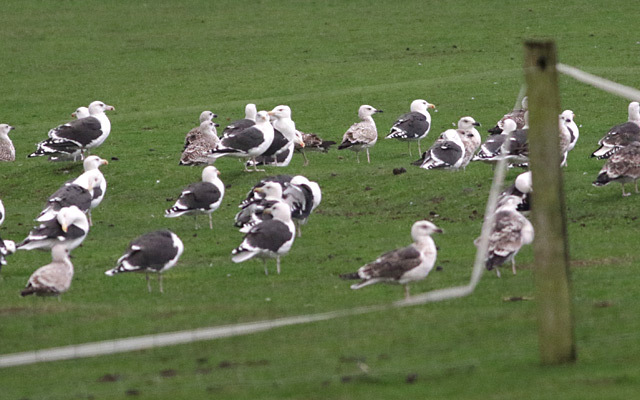 If autumn passage had nearly fizzled out in recent days then today qualified as rock bottom since there wasn't a single entry for a new arrival on the day sheet or the ringing log at the Obs. 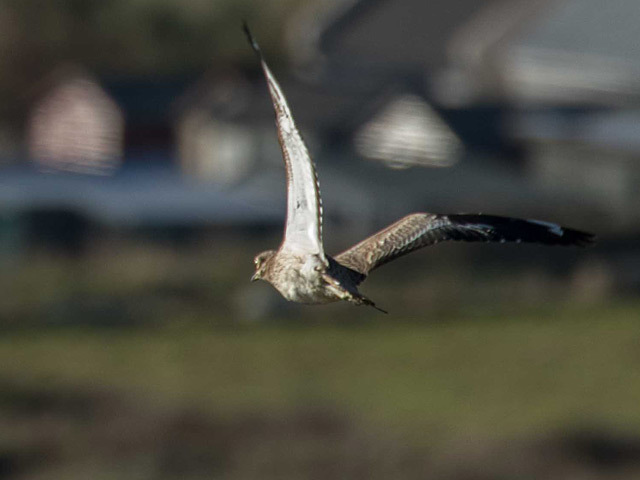 Winterers there included singles of Water Rail and Black Redstart, whilst a constantly freshening westerly perked up numbers on the sea that included 2 lingering Great Skuas. 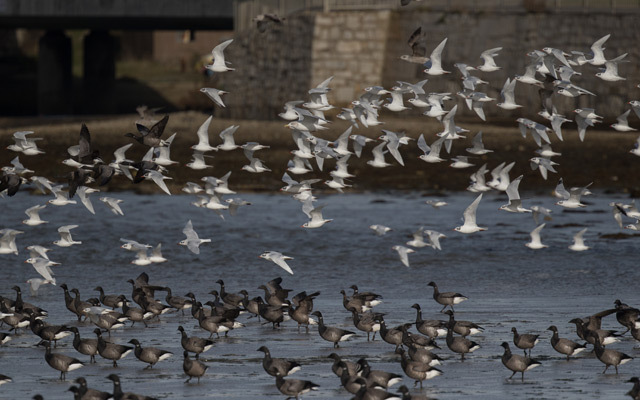 Elsewhere the Ferrybridge Mediterranean Gull total got up to 650, with 5 Pale-bellied Brent Geese also there and 2 Black-necked Grebes nearby in Portland Harbour. The increasing breeze spoilt overnight mothing, with 12 Rusty-dot Pearl and a Silver Y the only immigrants trapped overnight at the Obs. Sure signs of the end of autumn today with passage reduced to the point of being almost non-existent. 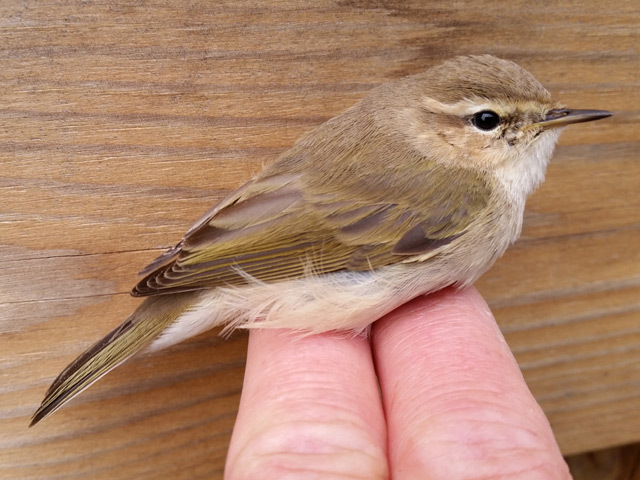 The cumulative total of new thrushes didn't even get into double figures at the Bill where a handful of Chaffinches dropped in and a tardy Swallow passed through; 2 Firecrests at Pennsylvania Castle were perhaps more likely winterers than new arrivals. 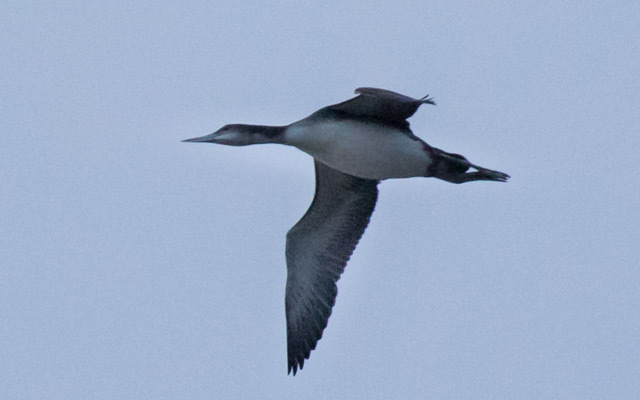 Ferrybridge and Portland Harbour remained busy with Goosanders increasing to 12 and 1750 Dark-bellied Brents, 500 Mediterranean Gulls, 4 Pale-bellied Brents and singles of Great Northern Diver, Black Brant and Pintail also packed in there. A breezier night saw immigrant moth numbers pegged back, with 41 Rusty-dot Pearl, 2 Rush Veneer, 2 White-speck and a Pearly Underwing trapped at the Obs; another White-speck was among the catch at Sweethill. 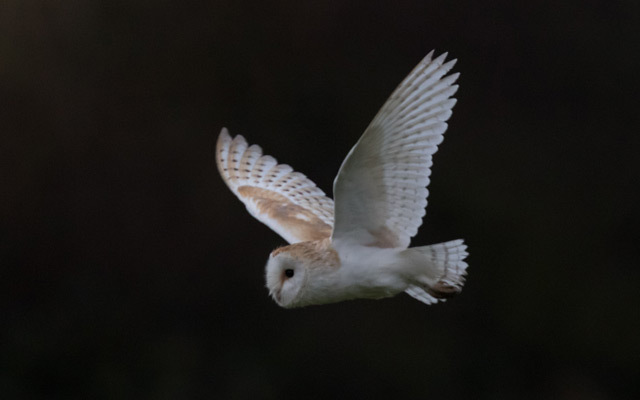 Increasing amounts of cloud during the hours of darkness looked to have some promise for dropping a few arrivals but in the event virtually all the day's passage was again overhead, with some decent totals accrued at the Bill. 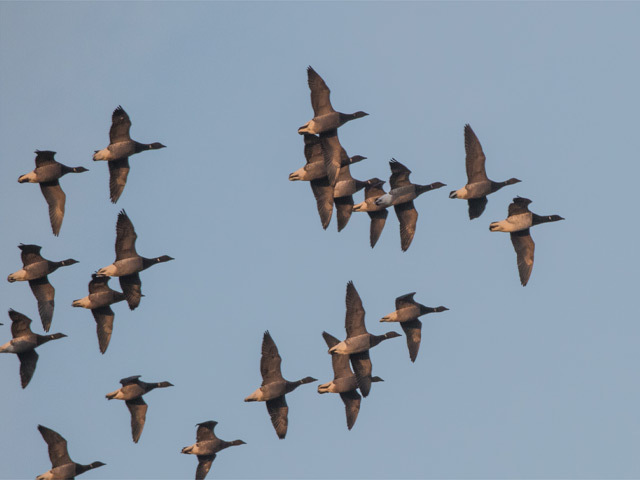 In a light westerly, movement was taking place both to the north and the south, with the bulk of the morning's total consisting of 1400 Starlings, 800 Wood Pigeons, 400 Chaffinches, 200 Goldfinches and 175 Linnets; variety otherwise wasn't great but did include 13 Siskins, a Snipe and a Brambling. 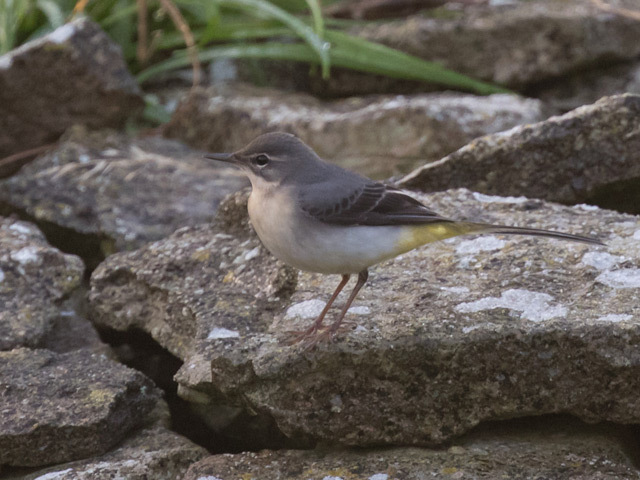 Newcomers on the ground were conspicuously few and far between, with even the likes of Blackbirds poorly represented; the Siberian Lesser Whitethroat was still about at the Obs, whilst a Black Redstart was also now a likely winterer there. 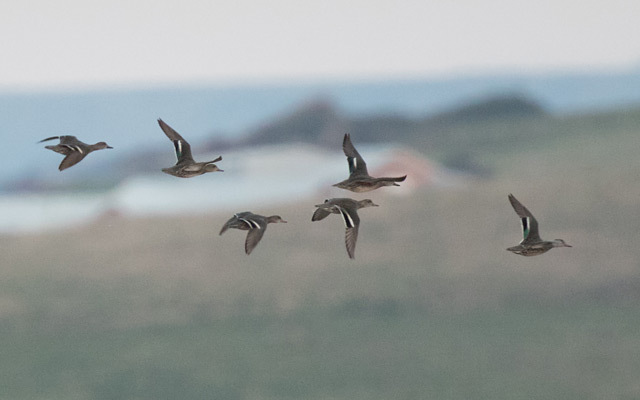 Four Teal passed by off the Bill where the first returned Fulmar also showed up. 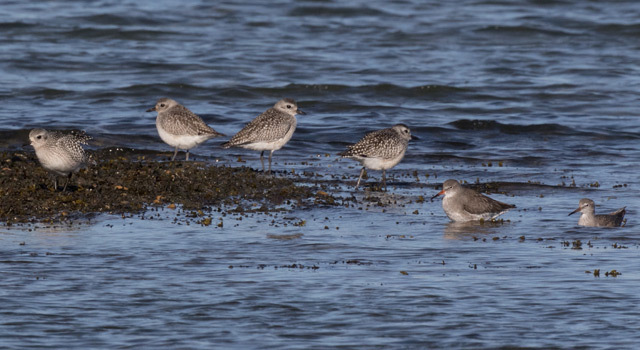 Ferrybridge was again busy, with 370 Mediterranean Gulls, 22 Bar-tailed Godwits, 3 Grey Plover, 2 Redshank, the Black Brant and a Knot amongst the morning selection. The quiet, mild and increasingly overcast conditions overnight favoured a decent moth catch, with immigrants being represented at the Obs by 85 Rusty-dot Pearl, 6 Rush Veneer, 2 Diamond-back Moth and singles of Radford's Flame Shoulder, White-speck and Silver Y. The raw cold of early last week has been gradually replaced by much milder air and in today's constant sunshine it felt positively balmy. 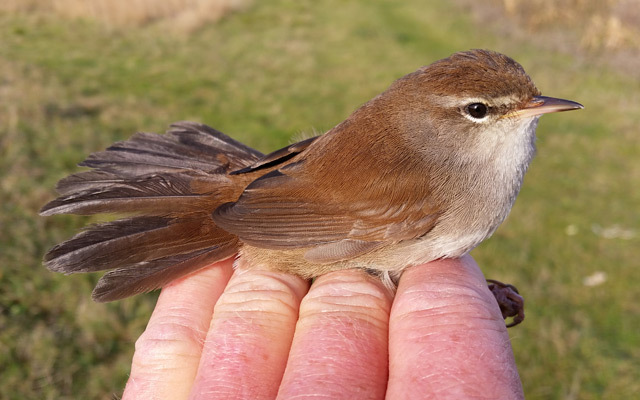 Although the conditions were hardly conducive for any sort of arrival on the ground a Cetti's Warbler was a surprise newcomer at the Obs; another 4 Blackcaps were also new in there, whilst the Siberian Lesser Whitethroat remained in situ. 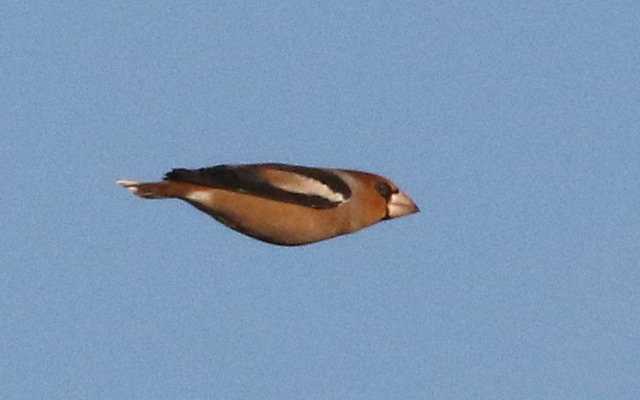 Virtually all the other passage there was overhead, with 650 Wood Pigeons, 560 Starlings and 250 Chaffinches making up the bulk of the numbers; amongst the lower totals 18 Bramblings and singles of Bullfinch and Lapland Bunting were of note. Goosanders again showed up at Ferrybridge - increasing to 10 today - the Black Brant dropped in there for a while and 2 Wigeon and a Teal also passed through. A modest increase in immigrant moth numbers saw 15 Rusty-dot Pearl, 5 Silver Y, 2 each of Diamond-back Moth and Rush Veneer, and a single Pearly Underwing trapped overnight at the Obs. Overnight rain that lingered on into the morning eventually cleared to reveal some sea passage and a small arrival of grounded migrants. 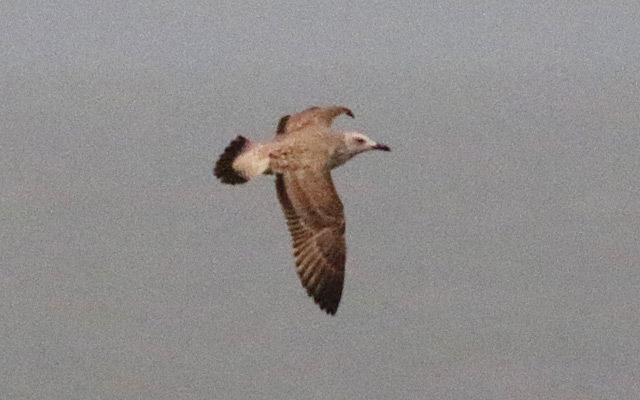 The sea was well worth attention, with 250 Kittiwakes, 20 Teal, 2 each of Arctic Skua and Great Skua, and a single Red-throated Diver through off the Bill. 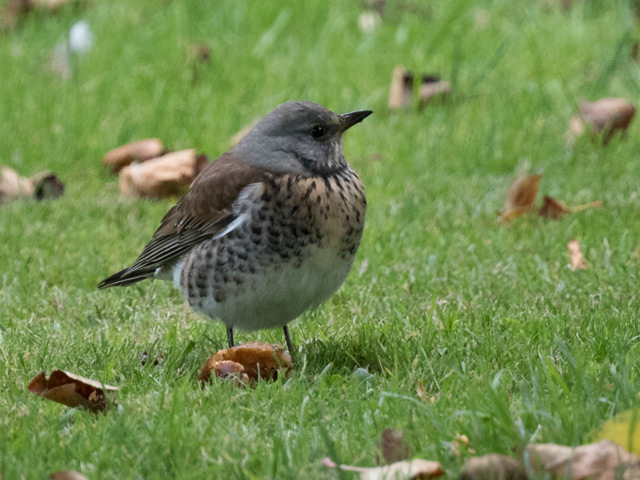 New thrushes were evident on the land, with particular concentrations of 30 Blackbirds in and around the Obs and 40 Redwings, 25 Blackbirds and a Mistle Thrush in the Foundry Close/Easton Fire Station area; also new were 4 Blackcaps, a Siberian Chiffchaff, a Chiffchaff and a Brambling at the Obs and 200 Starlings in off the sea at the Bill; the Siberian Lesser Whitethroat also remained at the Obs. 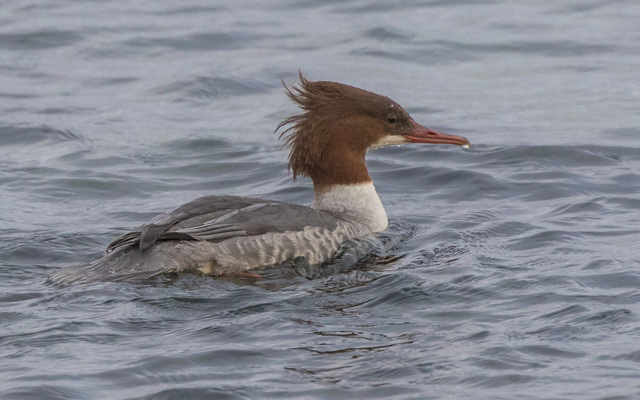 Goosanders have been cropping up from time to time at Ferrybridge, with 3 through there today and 4 nearby in Portland Harbour; 2040 Dark-bellied Brent Geese, 24 Bar-tailed Godwits, 3 Pale-bellied Brents, 2 Knot and the Black Brant were also at Ferrybridge. 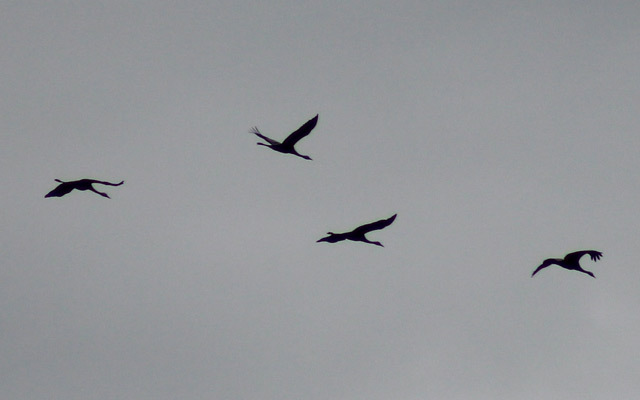 In lovely quiet, bright conditions there was a small resurgence in late passage today. 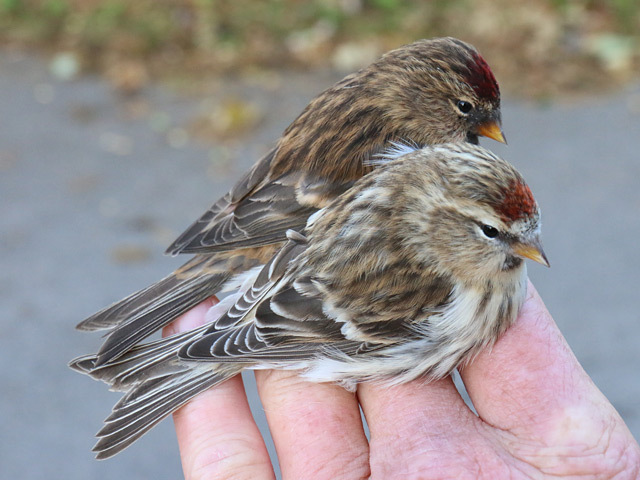 There were no particular surprises amongst what was on off but the Bill came up with creditable totals 350 Wood Pigeons, 220 Chaffinches, 12 each of Brambling and Siskin, and 11 Redpolls, along with single figure totals of a decent range of other November regulars; the Siberian Lesser Whitethroat also remained there. 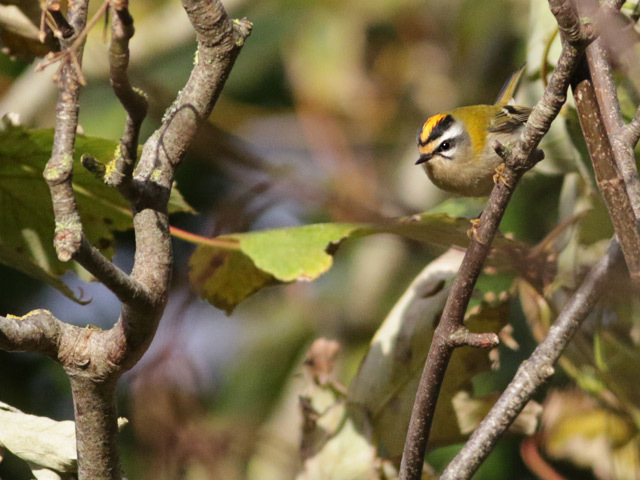 Limited coverage elsewhere came up with 2 Great Spotted Woodpeckers and 2 Firecrests at Avalanche Road, whilst the Black Brant put in another appearance at Ferrybridge. 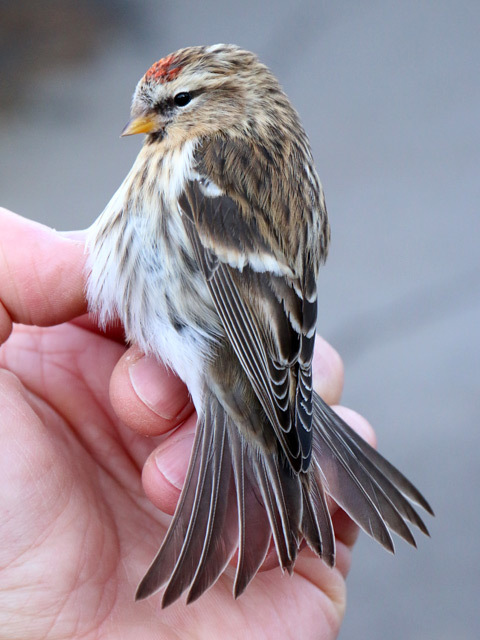 It looked far buffier about the face than we'd usually associate with Mealy Redpoll but, equally, much of the rest of its plumage was well outside the usual range we'd associate with Lesser. 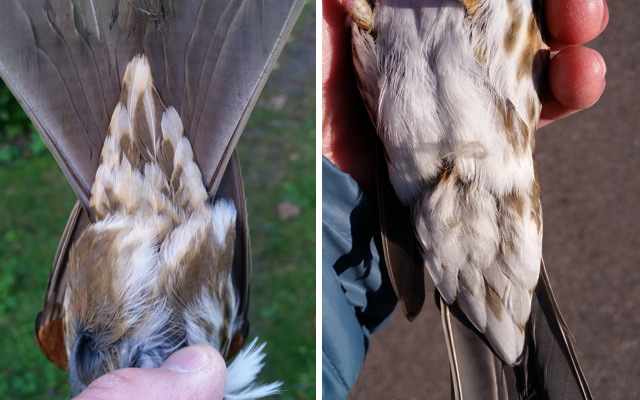 Although it appears larger than the accompanying Lesser in these photos that's no more than a photographic effect: it measured up to be precious little different to the Lessers in all ways except primary projection which did fall (just) outside the normal range of Lesser. 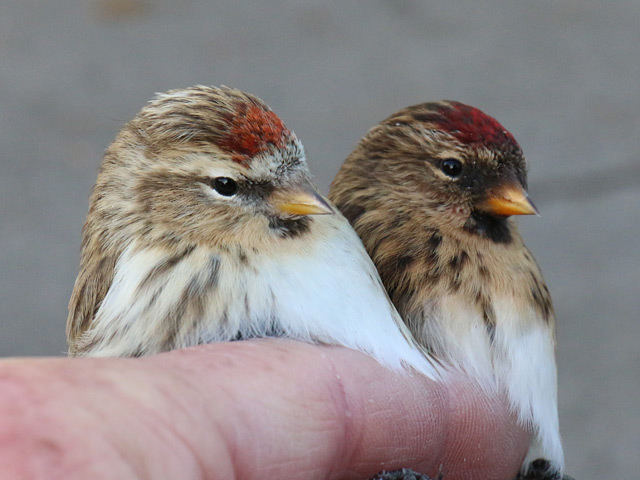 Whilst there's still more than enough time for autumn to have some action up its sleeve today had a depressingly end of season feel about it with, for example, nothing new trapped and ringed in several hours of trying at the Obs. 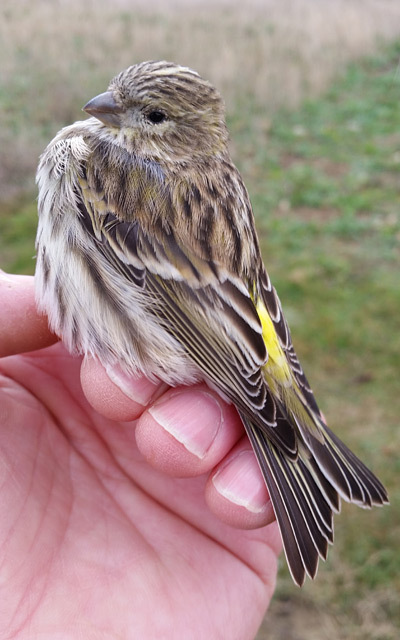 What movement there was took place overhead, with 125 Chaffinches, 65 Linnets, 50 Goldfinches and a Brambling through at the Bill where, the lingering Siberian Lesser Whitethroat aside, a lone Redwing was the only obvious new arrival on the ground. 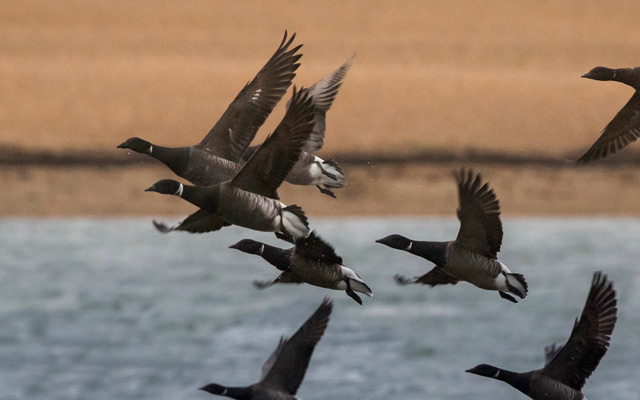 The sea reverted to type, with nothing more than 6 Brent Geese through off the Bill. 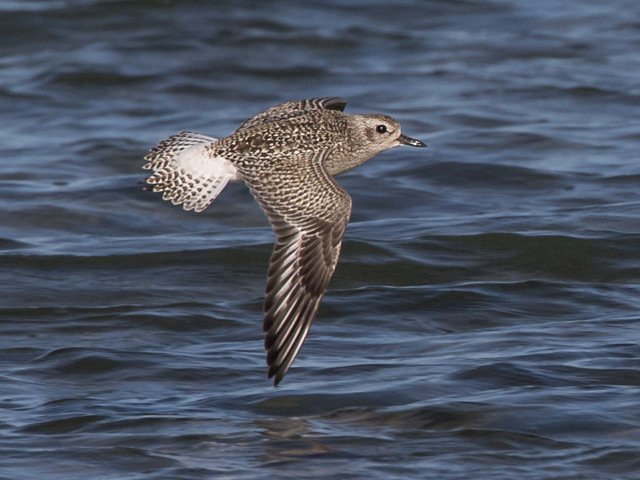 Elsewhere there was a Black Redstart at Church Ope Cove and 20 Bar-tailed Godwits and 4 Grey Plover amongst a routine selection at Ferrybridge. A few immigrant moths still on the wing included 3 Silver Y, a Diamond-back Moth and a Rush Veneer caught overnight at the Obs. After a wild, wet and windy night it took the best part of the day for the wind to abate. Seawatching was the order of the morning but in a north-westerly little more than 9 Common Scoter, 3 Great Skuas and a Pomarine Skua passed through off the Bill. 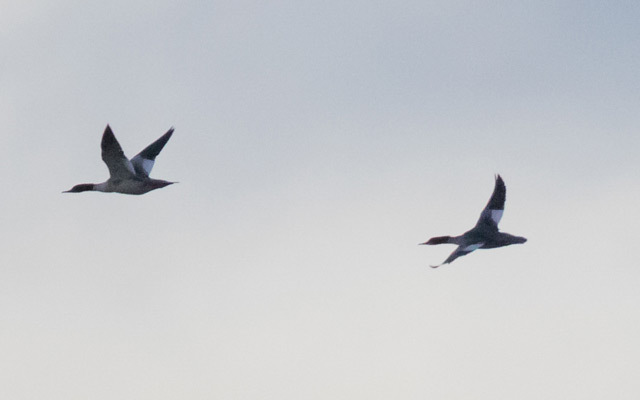 The land got little coverage and the only worthwhile reports from the Bill were of 6 settled Purple Sandpipers, a Short-eared Owl in off the sea and singles of Mallard and Golden Plover through overhead. 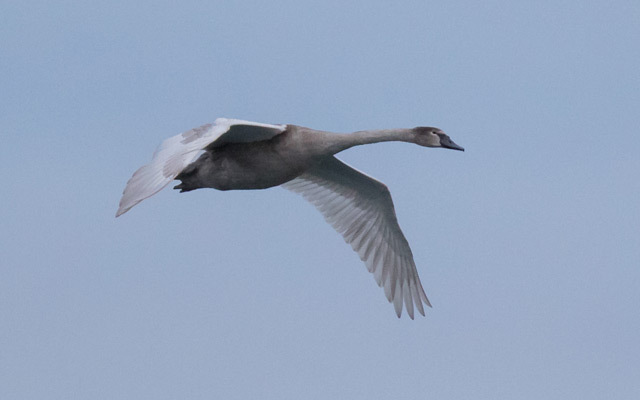 Much improved birding conditions - millpond calm and overcast - and a nice pulse of late movement today. 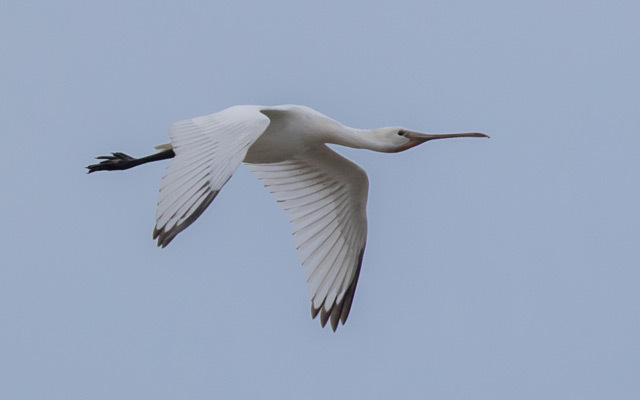 It was certainly a day to be looking skyward or out to sea with precious little of what was on the move actually dropping in: 4 Cranes heading west over Portland Harbour provided the rarity highlight, whilst another Spoonbill - over Ferrybridge - added to the recent rash of records of that local oddity. Visible passage over the Bill included 1700 Wood Pigeons and 210 Chaffinches by way of numbers and the likes of singles of Merlin and Short-eared Owl as minor quality amongst the selection of seasonable back-up; it was quieter on the ground although the Siberian Lesser Whitethroat popped up again and singles of Woodcock and Mistle Thrush were of interest. 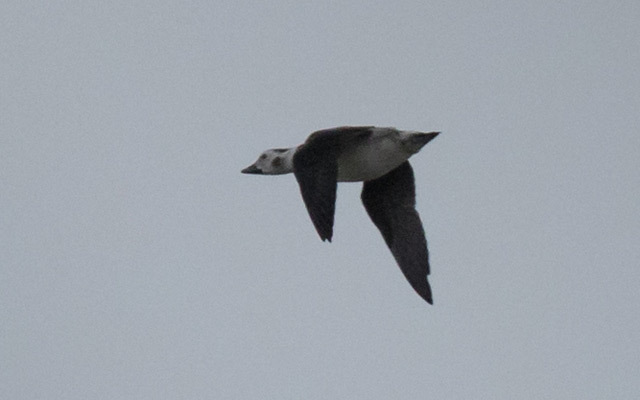 The sea there was busier than it has been for weeks, with auks now plentiful offshore and 69 Brent Geese, 24 Common Scoter, 6 Teal, 4 Red-throated Divers, 3 Great Skuas and a late Manx Shearwater through. 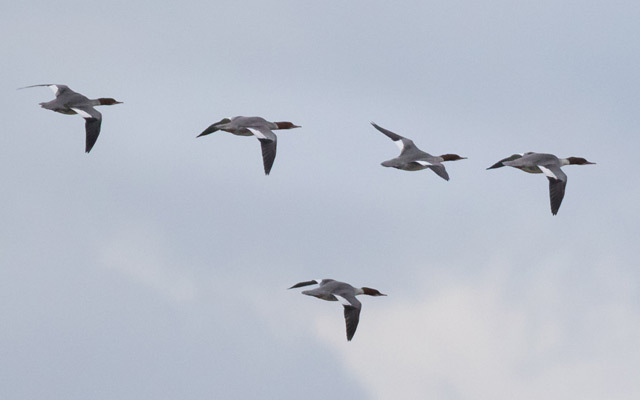 Additional to the Spoonbill, movers over Ferrybridge included 6 Goosander, 3 Lapwings and singles of Great Northern Diver and Mute Swan. Two Pearly Underwings and a Dark Sword Grass were the only immigrant moths trapped overnight at the Obs. 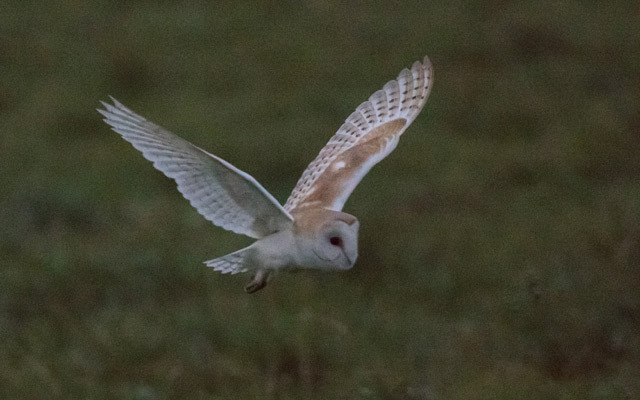 A really raw morning in a blasting north-easterly saw some more visible passage get going but it remained very quiet on the ground. 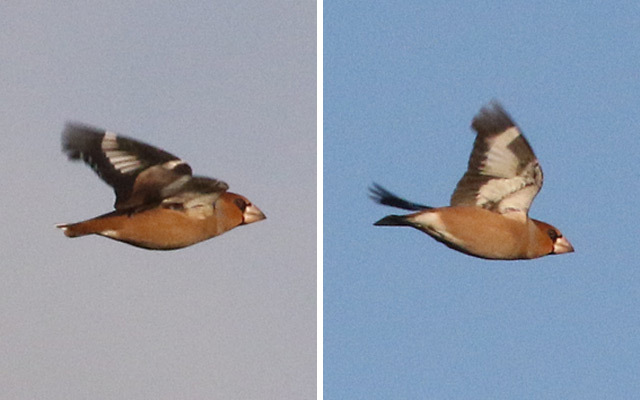 A Hawfinch was a nice surprise at the Bill where Chaffinches were pulsing through in some quantity - 380 passed over the Obs in a couple of hours - and other travellers included the usual mix of Wood Pigeons, thrushes, finches and Reed Buntings in lower numbers. 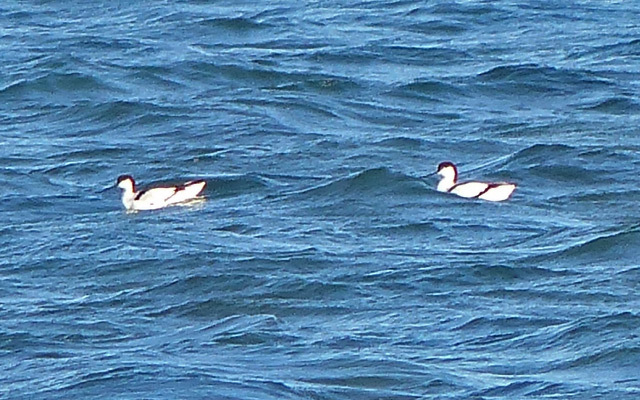 Wildfowl on the move included 6 Teal and 5 Goosanders through at Ferrybridge, whilst later in the day 2 Avocets pitched in at Portland Harbour. A note for Obs members: we've recently been mailing out copies of the 2015 annual report but there are a few members for whom we don't have a current/correct postal address; if you think you're a paid-up Obs member and haven't received your report please get in touch so we can clear up these issues. Thanks. The recent switch to a colder northerly airflow hasn't prompted nearly as much late passage as might have been expected and today continued in that vein. Wood Pigeons were again departing to the south in relatively small numbers - including 1500 over the Bill - but most of the day's other movement involved a light trickle of northbound thrushes and finches, including 130 Chaffinches over the Bill; a tardy lone Swallow also passed through at the Bill. 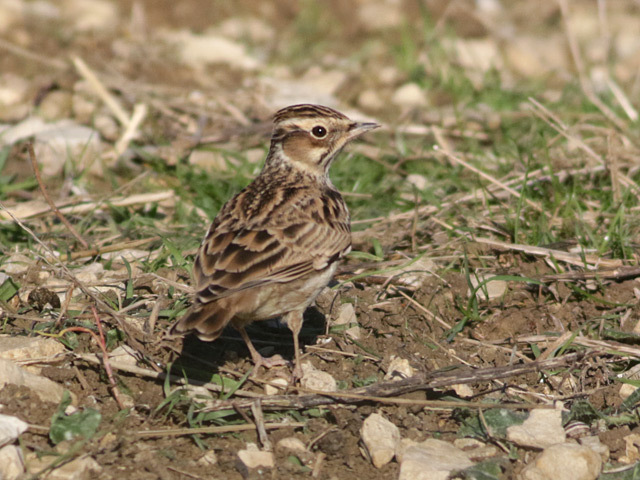 Numbers on the ground looked to be very low everywhere: the Siberian Lesser Whitethroat remained at the Obs, but a single Woodcock was the only other minor oddity among the handful of new thrushes, Blackcaps, Chiffchaffs, Goldcrests and Reed Buntings at the Bill. Seawatching at the Bill came up with 16 Common Scoter, 3 Red-throated Divers, 2 Brent Geese and a Wigeon, a Pomarine Skua passed through Portland Harbour and 19 Bar-tailed Godwits, 2 Mallards, 2 Grey Plover and singles of Pintail, Redshank and Kittiwake were the best of the bunch at Ferrybridge. Clear and mainly sunny but a real chill in the air today. The birds didn't seem to be unduly bothered by the slide in temperature and, bar visible passage perking up a little, it was relatively quiet. Chaffinches were prominent amongst the overhead movers, with 150 through at the Bill, but Wood Pigeons didn't get going to the extent that might have been expected: 800 headed south over Ferrybridge but very few made it out as far as the Bill; 12 Redpolls, 3 Merlins, a Common Buzzard and a Woodlark were among the back-up cast at the Bill. 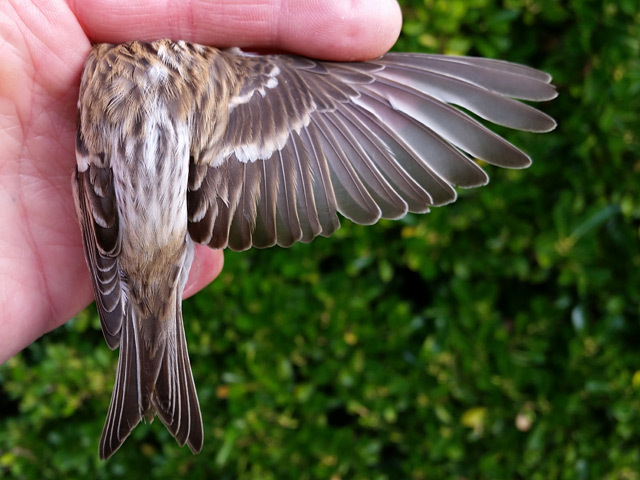 Odds and ends on the ground included the lingering Siberian Lesser Whitethroat at the Obs and a Woodcock at the Bill. 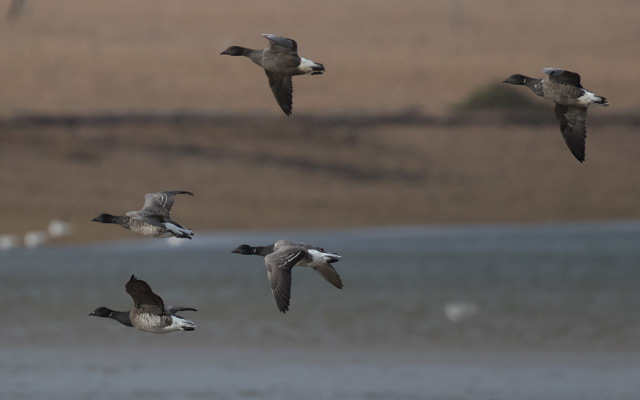 Seawatch reports included 30 Brent Geese, a Red-throated Diver and an Arctic Skua off the Bill, whilst a Pintail was again at Ferrybridge. Moth activity tailed off, with 7 Diamond-back Moth, 4 each of Rush Veneer and Silver Y, 2 Pearly Underwing, a Rusty-dot Pearl and a Dark Sword Grass making up the immigrant tally at the Obs; elsewhere a Gem was trapped at the Grove. A disappointing day on several levels: the forecast brief showers at midday manifested themselves as several hours worth of persistent rain, whilst the high hopes for a decent arrival of grounded migrants came to nothing; by way of some compensation overnight mothing was far more productive than might have been expected. 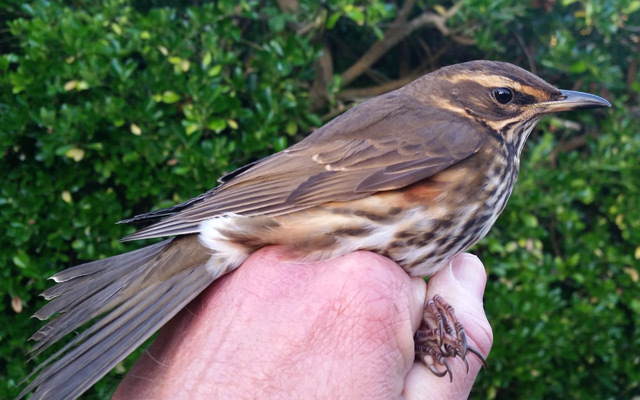 The overcast skies of dawn dropped precious little migrant-wise, with even thrushes reduced to barely more than singles figure totals at the Bill, where the only real interest came in the form of the lingering Siberian Lesser Whitethroat, 2 Merlins, 2 Black Redstarts and singles of Short-eared Owl and Dartford Warbler. 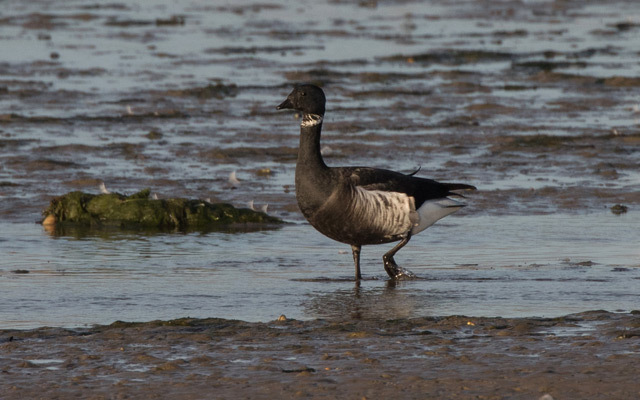 Elsewhere there were 2 Yellow-browed Warblers at Avalanche Hump and another at the Craft Centre, 2 Black Redstarts at Blacknor and Ferrybridge was busy with a 2 Pale-bellied Brents and the Black Brant amongst 2600 Dark-bellied Brents; a lone Pintail was also a minor oddity there. Immigrant moth numbers bounced back after yesterday's low point, with 49 Diamond-back Moth, 38 Rusty-dot Pearl, 21 Rush Veneer, 6 Silver Y, 2 Dark Sword Grass and singles of Olive-tree Pearl, Pearly Underwing and White-speck trapped overnight at the Obs. Although the volume of general passage is certainly slowing up as autumn winds down there's still more than enough going on for plenty of entertaining birding, with today's nice quiet conditions allowing for lots of coverage. Overhead passage provided all the numbers, with 4000 Wood Pigeons, 200 Chaffinches and lower totals of a good variety of thrushes and finches moving over the Bill through the morning. On the ground another Serin showed up at the Bill, where 2 each of Woodcock and Short-eared Owl, and singles of White Wagtail, Black Redstart, Siberian Lesser Whitethroat (for its fifth day), Dartford Warbler and Yellow-browed Warbler were among the lowish numbers of commoner migrants; elsewhere there were 2 more Yellow-browed Warblers at Avalanche Hump and 4 Black Redstart at Portland Castle. 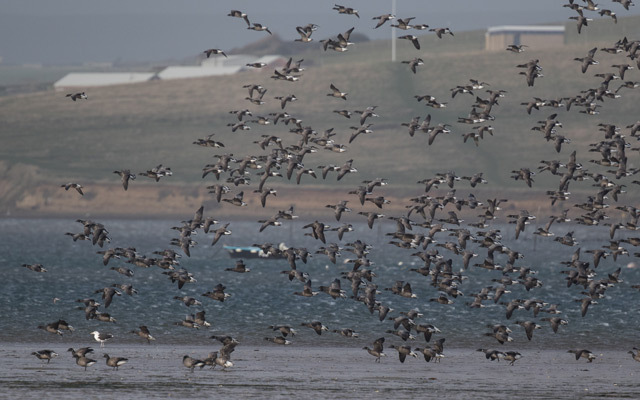 In terms of both quantity and variety the sea has been the poor relation for many weeks so signs of a slight upturn were very welcome, with 100 Kittiwakes, 19 Common Scoter, 10 Brent Geese, 3 each of Red-throated Diver and Red-breasted Merganser, and a Wigeon through off the Bill. 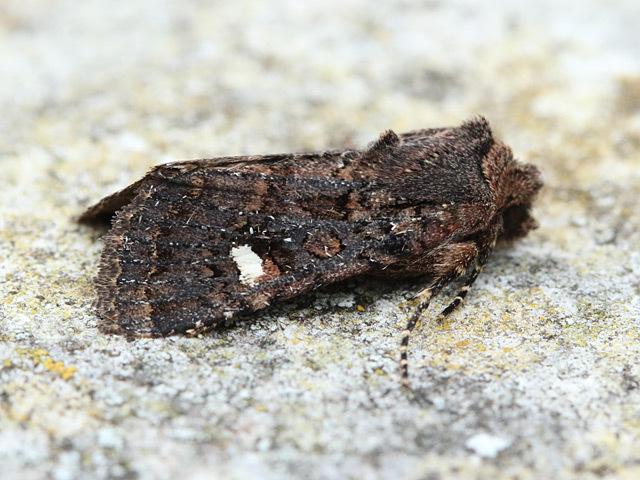 Despite the plunging temperature seeing moth activity reduced almost to the point of being non-existent an Oak Rustic - a new species for Portland - made it into a trap at the Obs; 2 Silver Y and a single Dark Sword Grass were the only immigrants logged there. 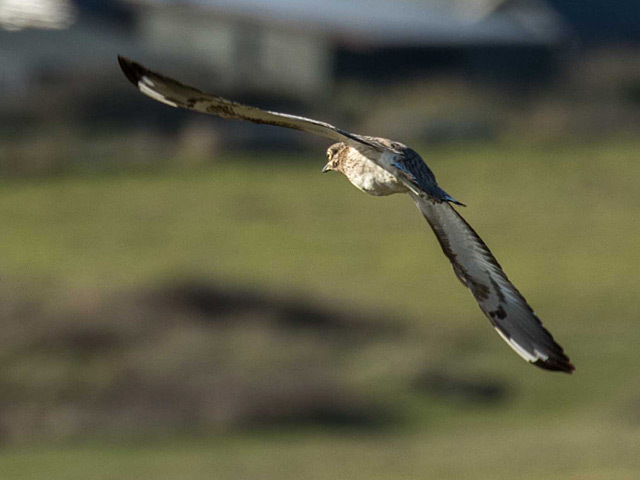 Chillier today but in quiet, sunny conditions it was pleasantly birdable. 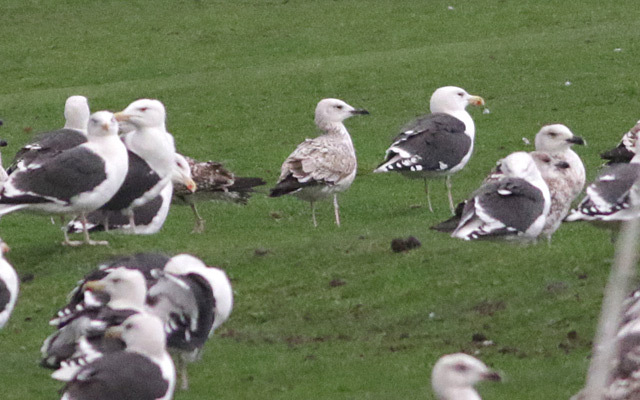 A Stone Curlew was an unexpected albeit brief visitor to the Bill where yet another new Yellow-browed Warbler dropped in, but these oddities aside the day's happenings were much as might be expected given the conditions. 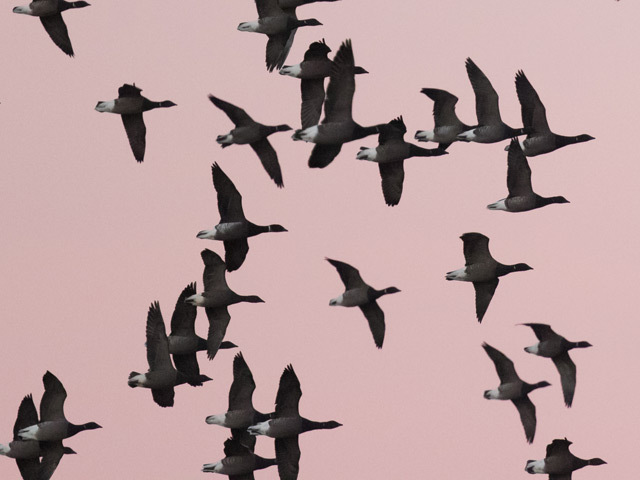 Overnight, heavy cloud cover had dropped a host of overflying migrants to audible height, with a succession of Golden Plovers of note amongst the more routine thrushes and other seasonable migrants, but a clearance before dawn had given most of these birds a chance to get away. 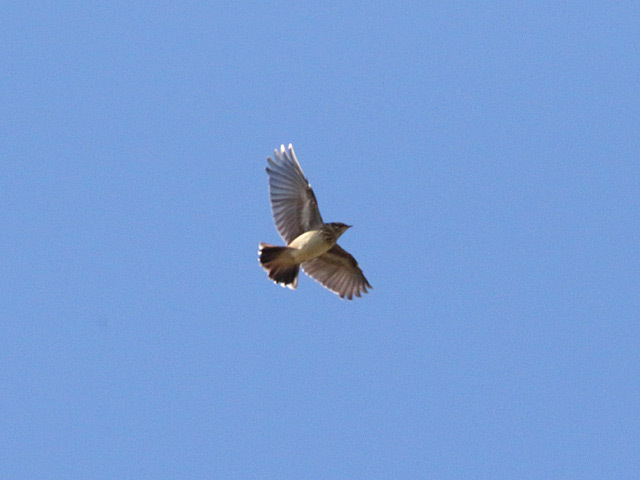 At the Bill, diurnal overhead passage included 350 Wood Pigeons and 50 Redwings amongst a steady but generally light movement akin to recent days; it was a similar situation on the ground, where variety included 3 Black Redstarts, 2 Woodcock and a late Whitethroat. 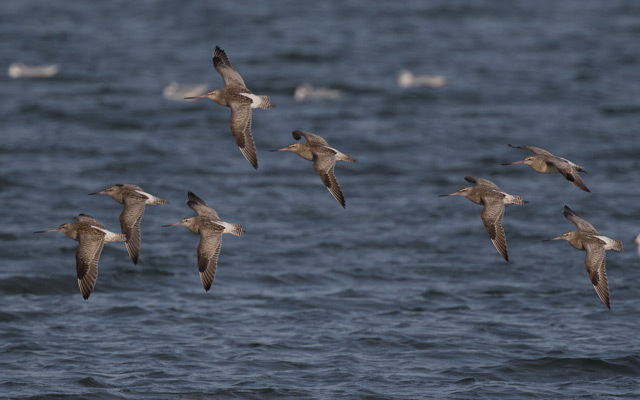 Waders at Ferrybridge included 15 Bar-tailed Godwits, 5 Grey Plover and 3 Redshank. 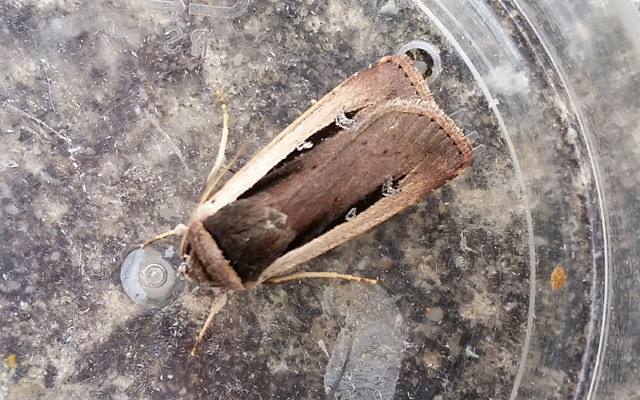 Mothing slowed up with the drop in temperature: a lone White-speck was the best of the 26 individual immigrants trapped overnight at the Obs, whilst a Delicate was the pick of the catch at Sweethill.